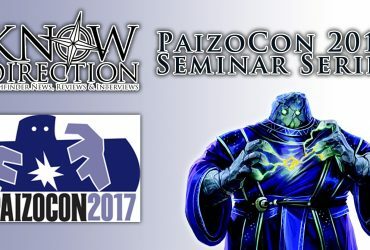 Note: This article has the slightest of spoilers for the Hell’s Rebels Adventure Path. If you would prefer not see a very basic version of a map from about halfway through the AP, you might want to avoid reading the rest of this article. One of the various aspects of running a game of Pathfinder is the battle map for combat. 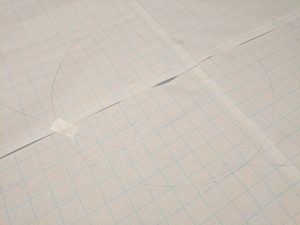 While it is by no means necessary to use a grid for combat, it is required for the likes of the various adventures, such as the ones in PFS Scenarios and the Adventure Paths. 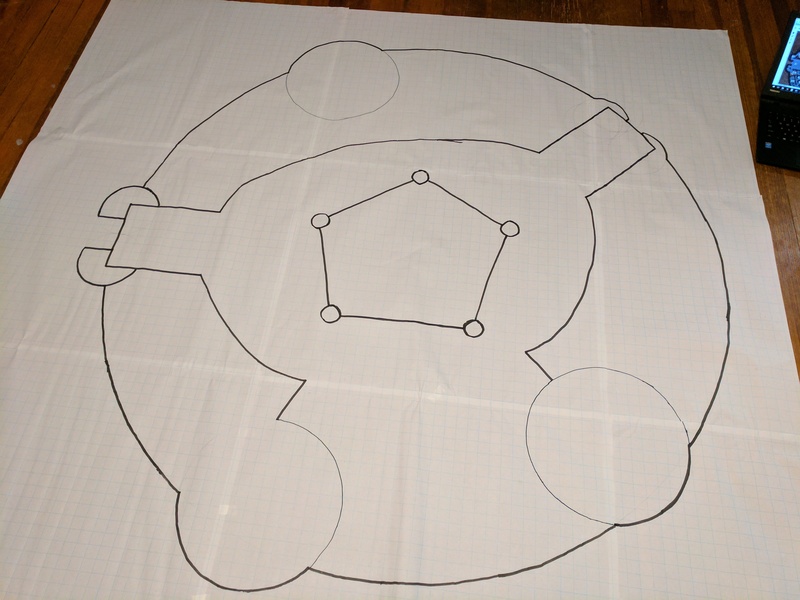 I’ve run plenty of adventures and if you were to ask my players, they would tell you how much I detest drawing maps out at the table. Anything that isn’t composed of straight lines is a chore, especially for the larger maps. When I can, I try to prepare a map in advance to save time at the table. 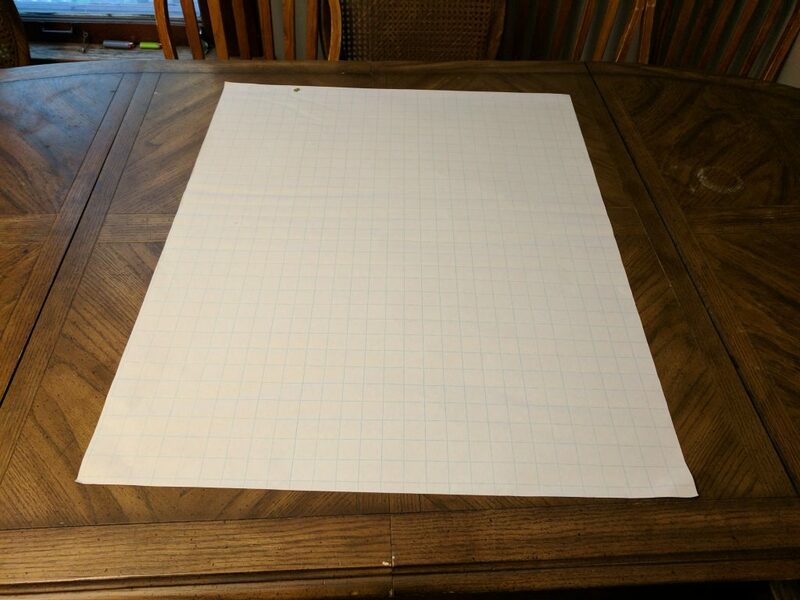 This usually means I draw a map out on a flip mat before a session or prep a player version of a digital map to reveal with the handy TV I have sitting behind me for the likes of maps, handouts, and artwork. This kind of prep generally takes about 5–15 minutes and really in depth prep can take me up to half an hour. I don’t mind doing it because it means that I save time during the game and the reveal of a nice map is generally exciting. I’ve met my match however. I’m currently running the Hell’s Rebels Adventure Path. A Song of Silver features a big map that is very fitting for the current goings-on and seems like a very interesting locale. When I say this map is big, I mean it is very, very big. I counted it out and the map is 65 squares across. 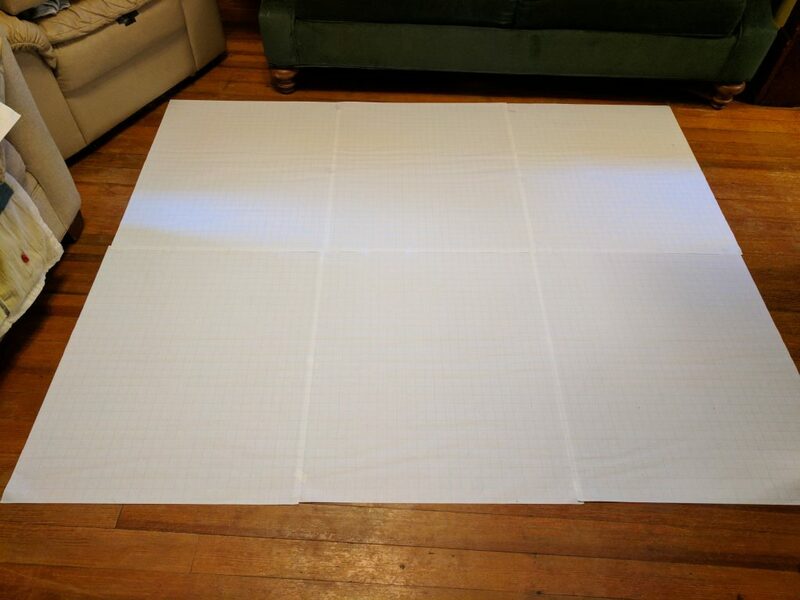 That’s 5-foot squares, each at a 1-inch scale. That’s over 5 feet long! Thankfully, it’s only 61 squares wide. Now, setting out to prep for this map was quite the task, but I figured there must be some way to do it. 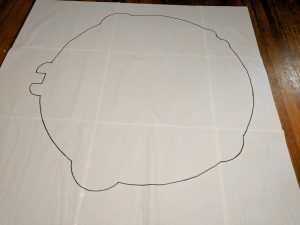 The first thing I needed was a mat big enough for the map. 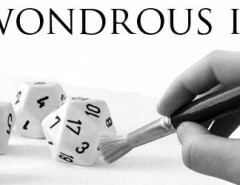 I’ve heard about the Mondomat that the Order of the Amber Die used for their enormous Briarstone Asylum map. That was just a bit too pricey for me, though. 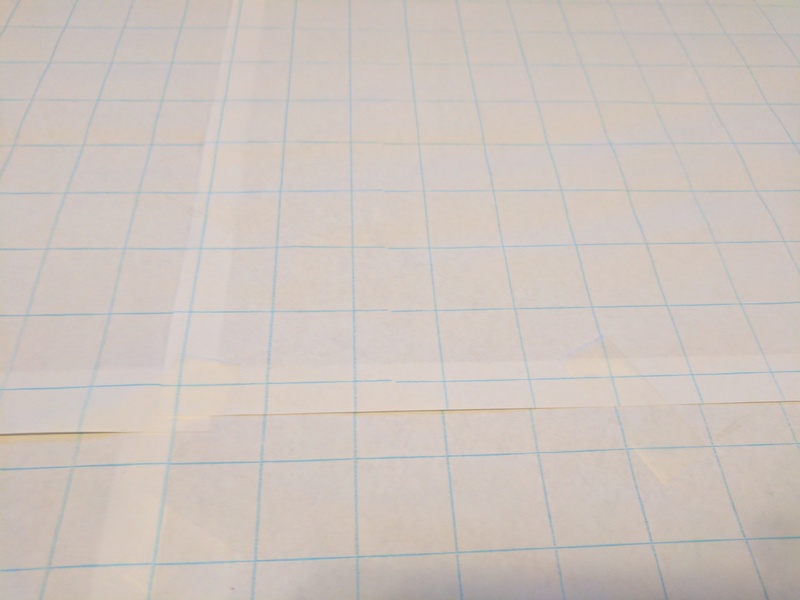 Instead, I stumbled upon a giant pad of 27×34 inch graph paper that is at a 1-inch scale. It was perfect! I could draw out my big map, but also have the pad for maps in the future. It seemed like a worthy investment. I was not prepared for how big this paper really was. Whew! One sheet was really big. I then got to work with determining how much paper I actually needed to make my map. Unfortunately for me, the map has a balcony-esque bit which required a section for a second floor. No matter which way I laid it out, I could not get the map to fit onto anything smaller than twelve pages! This was four rows of three pages each! This was going to be a nightmare. I got to work on taping the pages together. That is one trio of pages. It’s almost too long for our dining room table and I had to get three more of these? This was a nightmare with the advanced simple template (CR 6, by the way). I had to find a suitable space to put all of these together as well as work on the map itself. I proceeded to sweep the floor to our living room and make as much space as possible. 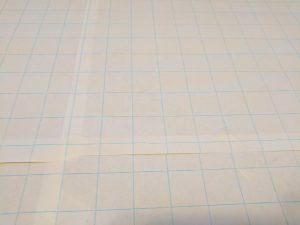 I was then able to tape another of row of pages together. It was enormous! This map was getting to be too much. It had gained the giant simple template (CR 7 now). My poor floor couldn’t handle it. Additionally, it didn’t seem like the paper was really intended to be put together. It was cut at at very inaccurate and not-quite straight lines, making the process of lining up the pages quite difficult. 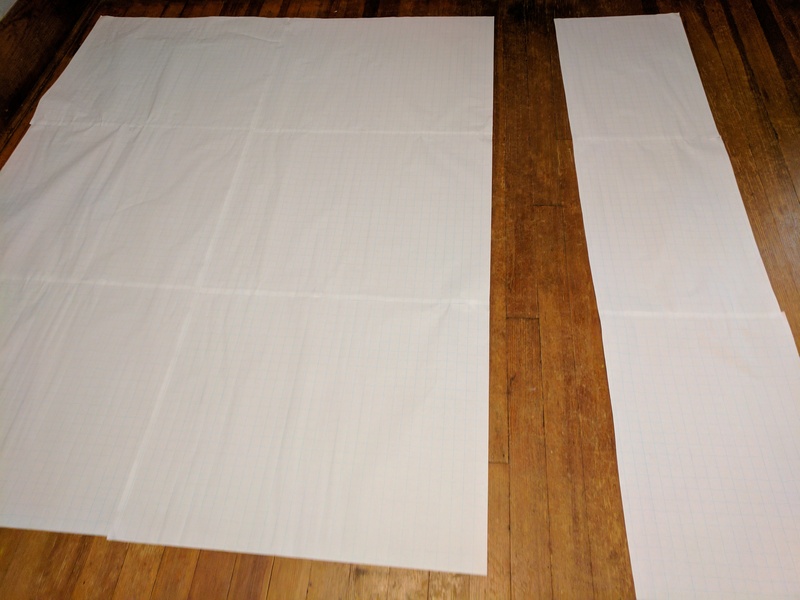 When it came to tape two rows of pages together, there was no getting them to line up perfectly. This was the best I could line pages up after 5 minutes of adjustments. Eventually, I got all four rows together, but there was nowhere in our house that would reasonable hold this giant paper amalgam and also have enough space for me to work on it. I had to separate a section of the mat to serve as the second story section. 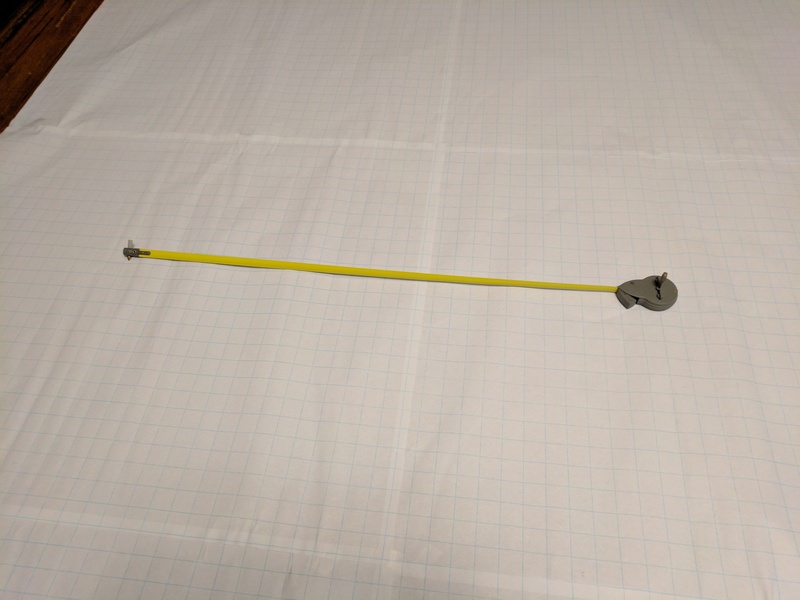 Cutting through 5 feet paper is surprisingly satisfying. I then got to work. Another factor working against me was the fact that the majority of the map was circular. 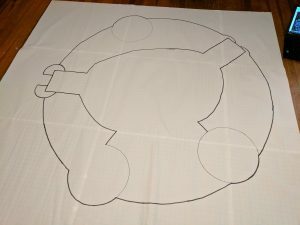 I purchased a compass intended for very large circles. It was essentially a tape measure with a pencil on the end and was quite flimsy when stretched out for very large circles. There was no compass that got as big as that one, though, so I dealt with it. Prepping for a 62 inch diameter circle. Kind of hard to see, but this is some of the circles laid out on the map. By this point in the project, I realized that I was kind of out of my element. Perhaps spending the extra money on the Mondomat would have been worth it? Unfortunately, my stubbornness and a heaping helping of the sunk cost fallacy meant I soldiered on. I started going over the lines in marker to make them visible. Once this part got going, I was actually enjoying myself. It was actually looking kind of nice! That is a sweet map. 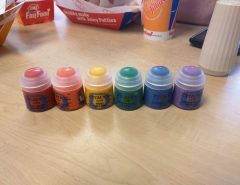 Round! After getting some details in. I messed it up. It was too late, though. I was committed. Oh, well. 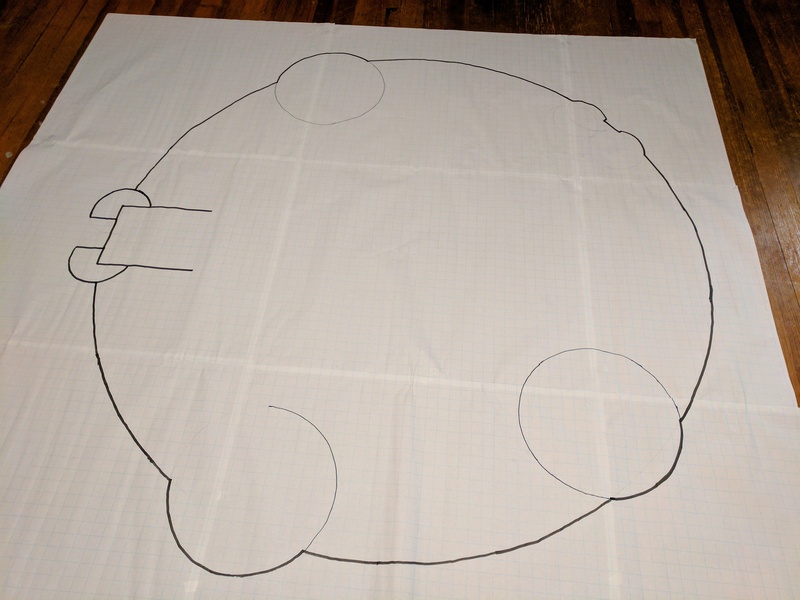 My players would have to deal with a weirdly shaped map because I was not about to shell out one hundred bucks for a Mondomat and I was for sure not about to tape 12 more pages together. It would have to do. I did decide that it did not require a lot of detail now. It had already been messed up, so there was no sense in wasting time to give a lot of fine detail that it did not deserve. Instead, I would just add the last major detail and call it good. So, let this be a lesson to all you GMs needing to prep really big maps. Make sure you actually take your time with the maps. The extra amount of effort will most likely be worth it, if only to have an accurate map on which to play. As for my map? Well, this week’s game got postponed so now I get to weigh the decision of remaking the map or sticking to my guns. 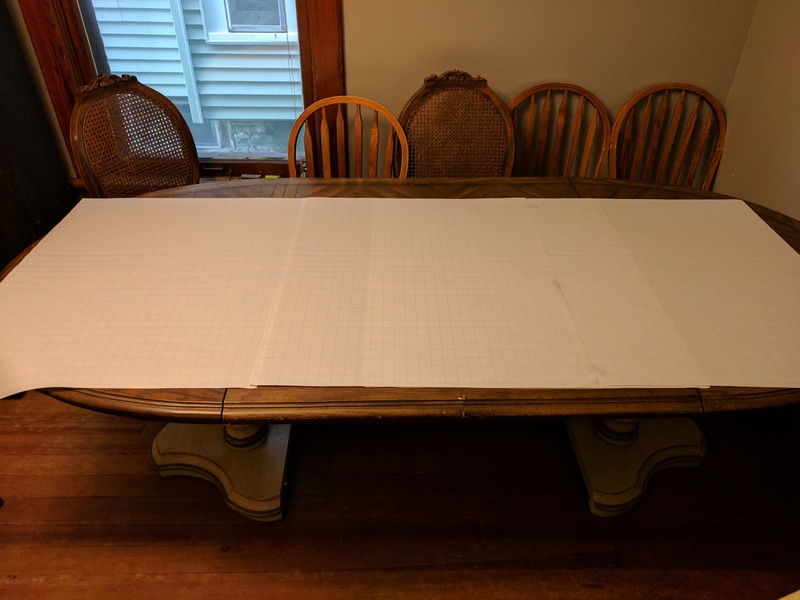 I have a CR 13 nightmare sitting on my dining room table that’s been taunting me for a few days and there’s no simple way of getting rid of it. If anyone has any suggestions for making this map better or a better way of handling the map-making process, please let me know in the comments or drop me a line at KnowDirection@hotmail.com. 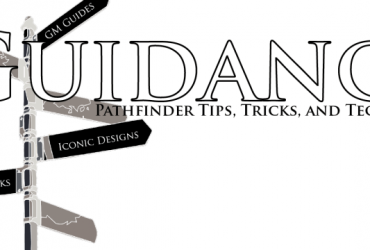 Next Article Guidance — Design 101: What Makes a Good Prestige Class?